Blocked toilets can prove to be quite a bit of nuisance particularly when you have broken your last plunger and couldn’t manage buying a new one as yet. Whether it’s your home toilet or a toilet at work, things tend to get rather messy and infuriating while dealing with such a situation. Thus, knowing the proper alternative way of handling a blocked toilet is not only essential but life-saving as well! 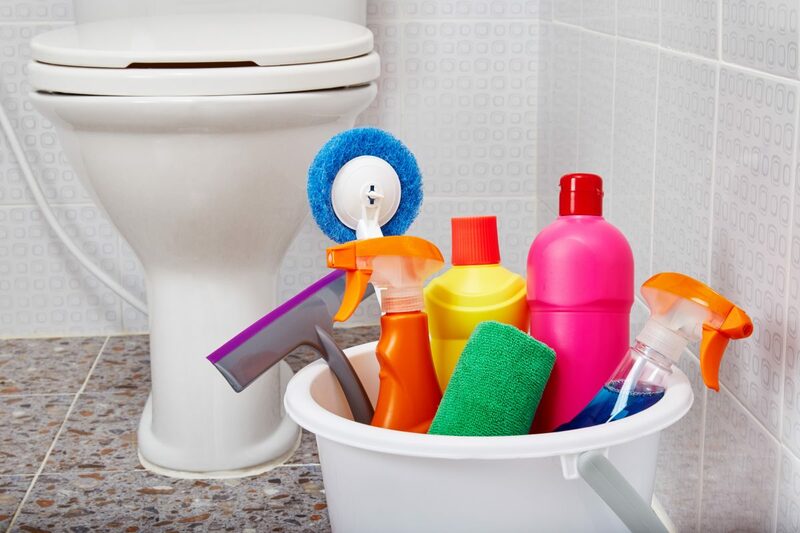 Apart from the traditional methods of using a mop, coat hanger and/or a toilet brush; the use of caustic soda is an exceedingly successful means of clearing that blocked toilet of yours. However, caustic soda is an increasingly dangerous material which should be handled with the greatest bit of care at all the possible costs. Hence, the foremost step in the unclogging of a blocked toilet with caustic soda is your own safety. Always wear rubber or plastic gloves and a pair of goggles to ensure maximum protection from the harmfulness of this chemical. Subsequently, keep in mind to never drain caustic soda right in to the toilet since the soda’s crystals have a tendency of solidifying inside the toilet and its pipes leading to a much bigger blockade as compared to before. One way of diluting the soda’s strength is by dissolving it in water before pouring it down the toilet. Therefore, add about a kilogram of caustic soda to a few litres or gallons of water while keeping your nose and eyes safely covered. Mix the caustic soda with water carefully in a large plastic bucket making sure that none is spilled whatsoever. Carry this procedure out in a well ventilated room such that no fumes are inhaled while the stirring is going on. It is essential for you to add the soda in water rather than pouring water on to the soda due to the exothermic nature of this process, resulting in the production of heat which makes the water bubble at a much faster rate. This production of heat gives rise to fumes which are highly corrosive in nature. Thus, make sure to not touch the solution with uncovered hands as it can cause a severe amount of damage to your skin. Once caustic soda and water is mixed thoroughly, steadily pour the mixture in to the toilet and shut the lid of your toilet carefully. Leave this solution suspended in the bowl for approximately an hour and start preparing another batch of this solution. It is extremely vital for you to carry this out at night time, since caustic soda needs an entire fortnight to show its effects. The next day that follows, drain in a couple of hot water buckets into the bowl from above the waistline allowing it to get flushed out a lot more easily and quickly. If this fails to take place after all, prepare the solution as mentioned above again and discharge it into the toilet. Now wait for some time again before pouring in the hot water and your toilet will be as good as new.